Cufflinks or Pins Free Design! 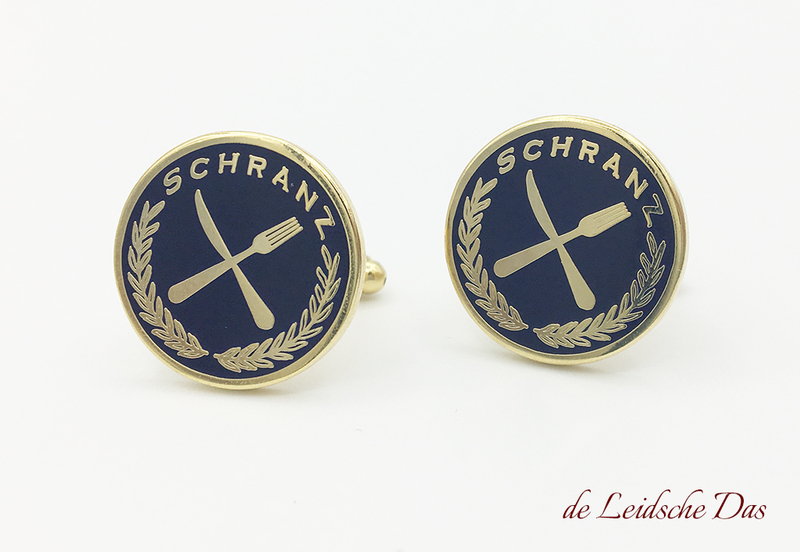 Custom made cufflinks by the Leidsche Das. Have cufflinks made in your own design for your company, club or organization. From 15 pairs it is already possible to have custom cufflinks made in your own design. 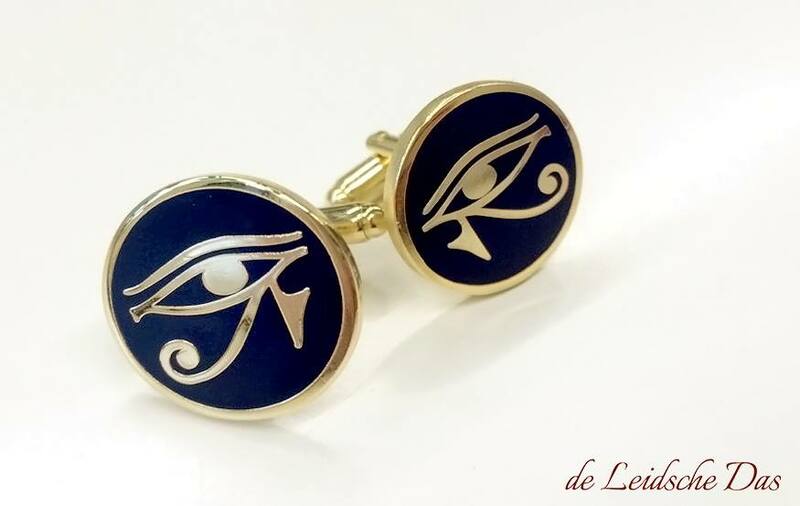 We design and manufacture cufflinks for a wide range of customers such as companies, (sports) clubs, organizations, student fraternities, local governments and the army. 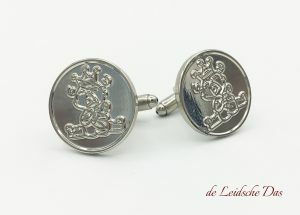 But of course also cufflinks for a special occasion such as a lustrum, anniversary, wedding or gala. Having cufflinks made for your company is a stylish and excellent business gift that will be appreciated by the recipient. Do you want to have custom cufflinks made? Then please Contact Our Free Cufflinks Design Service and share your wishes and ideas for the design with our skilled cufflinks designers. Our cufflinks designers will be happy to guide you through the design process and will assist you in creating a unique cufflinks design. 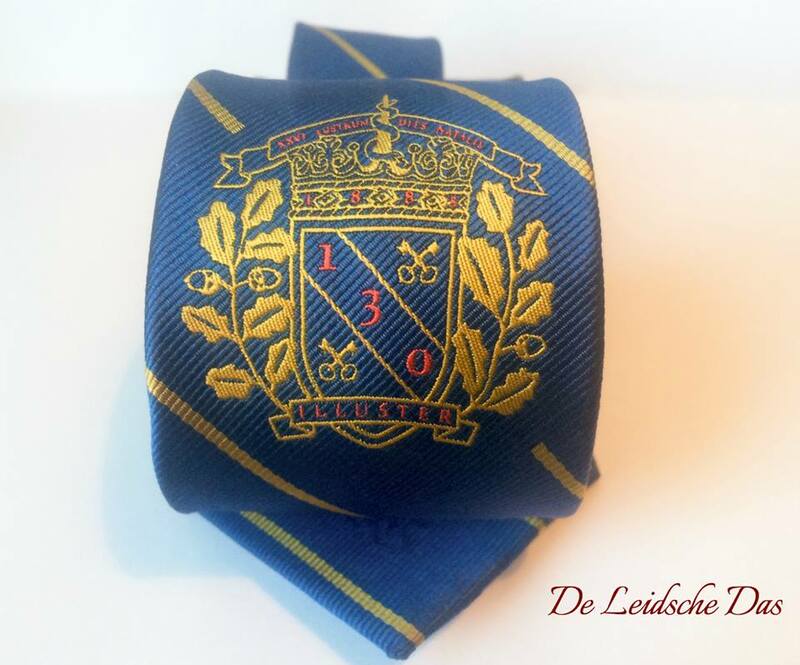 Cufflinks & ties made in the same personalized design. If you also want to have neckties or bow ties made in the same design as your cufflinks, you can indicate this at our design department. 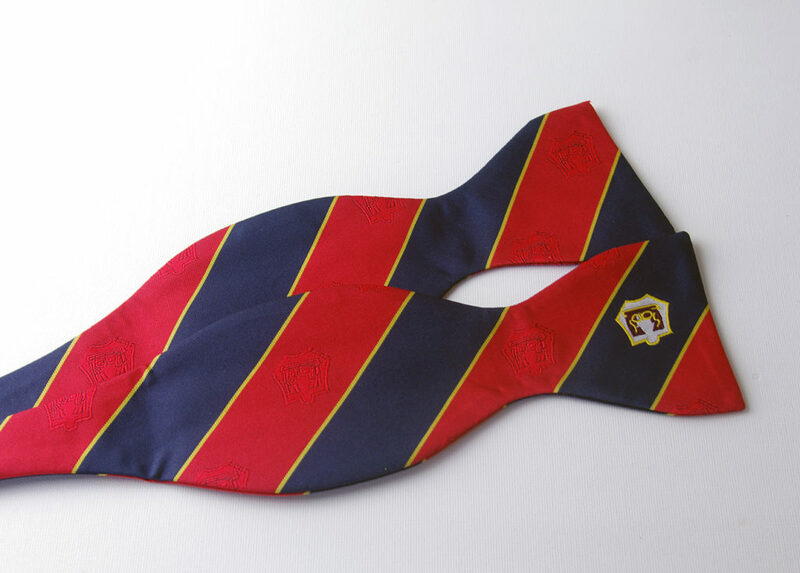 Custom neckties and bow ties made in your own design. 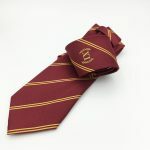 We also design and manufacture woven custom neckties and bow ties. 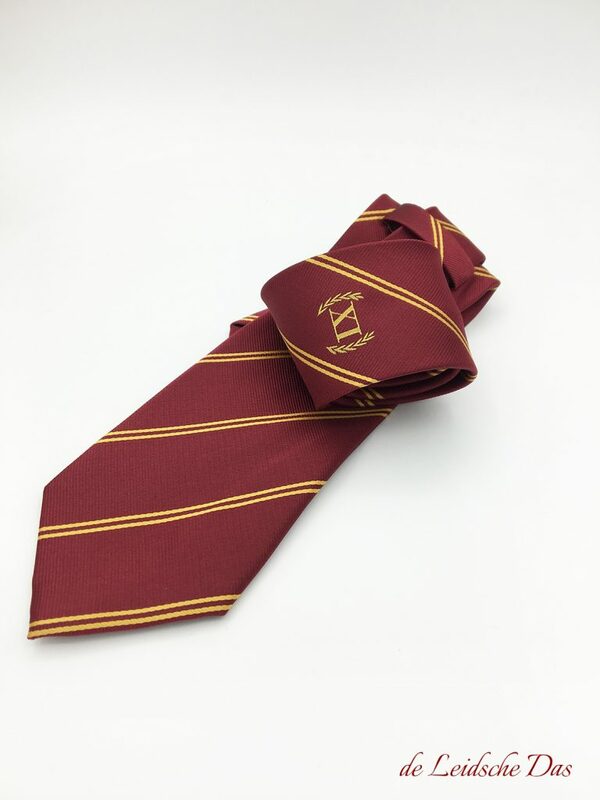 The material in which we can make your ties are in microfiber/polyester and in 100% silk. The minimum order quantity for microfiber/polyester is 50 pieces and for silk 35 pieces. 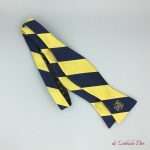 We have no limited standard pattern templates to choose from and we do not print or embroider prefabricated neckties or bow ties. Our starting point is the design process. Communication between you and our designers is essential during the design process so give our designers as much information as possible about your wishes and ideas for the design to be made for your ties or bow ties. 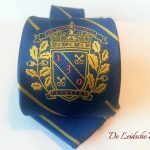 During the design process of your ties you have the following choices, the length and width of your ties, the color(s) of the yarn used, custom designed pattern, the weaving structure of the fabric and the position or positions of your logo, coat of arms, image and/or text. 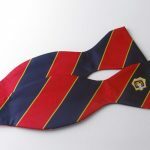 Bow tie Free Design Service. 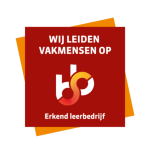 The Leidsche Das is a recognized training company for mbo students.